Back to all museums in Switzerland. Opening hours: Monday to Friday from 10 AM to 5:30 PM, Saturday and Sunday from 10 AM to 4:30 PM. Closed December 24th 2013 to January 1st, 2014, March 10th to 13th 2014. Opening hours confirmed: copied from website March 2013. Remarks: The Pantheon is not only a museum, but also a parking for classic cars and has a specialized workshop. 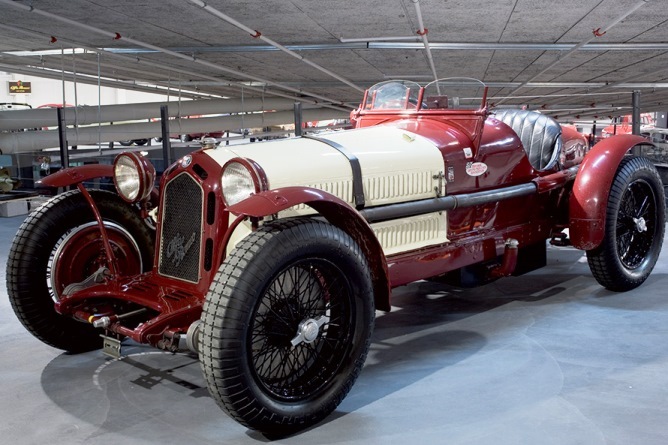 See pictures from an Alfa Romeo exhibition in 2008.